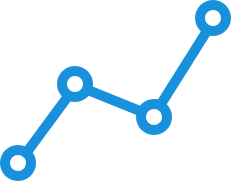 We arm you with the tools you need to manage your team and their time. 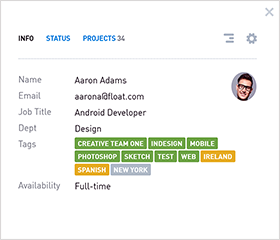 Keep track of job titles, departments, tags, and availability. 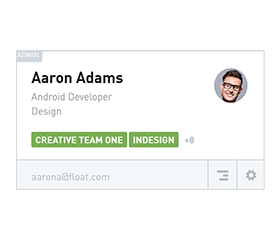 Add a profile pic so your co-workers don't forget your face. Have people on the team who don't work Fridays? A contractor who works on the weekends? Set part-time work hours for individuals. 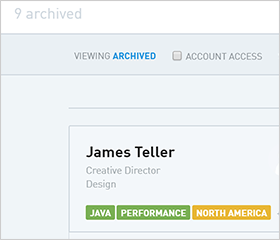 Control what your team can see and do with access rights that limit what people can view, add, and edit. 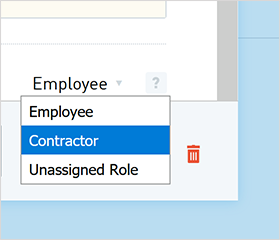 Identify your contractors so you can compare their hours separately on your reports. 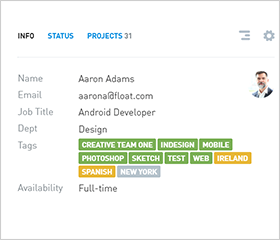 Group projects together by their client, or add custom tags to identify people easily later on. Keep a team off the schedule and archived for when you need to start scheduling them again in the future. Since the first day we didn't look back! It's so easy to use and has made the whole team a lot more efficient. 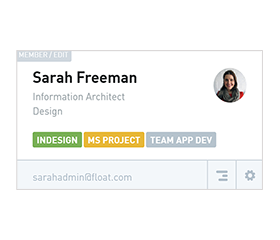 Flexible permissions so you can decide what your team sees and does. You can also have an unlimited number of guest users who can view or edit the schedule without appearing on it themselves. Admins have the most flexibility. 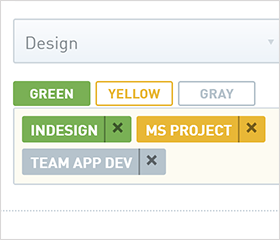 They can add, edit, and assign projects, as well as add other team members and access rights. 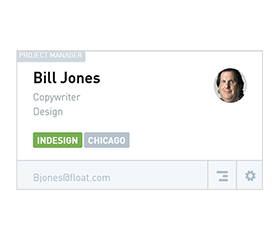 Project Managers can manage projects they’ve created or that are assigned to them. 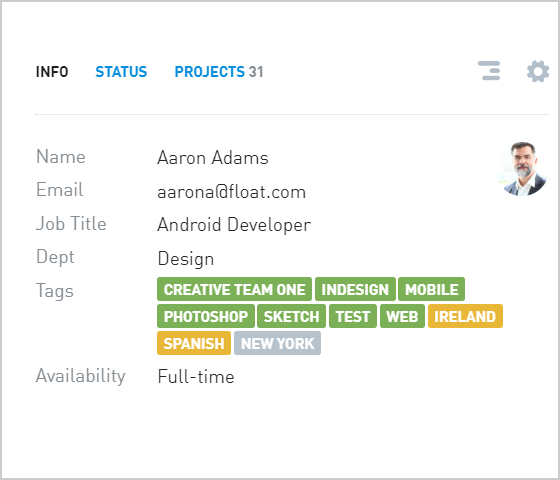 They can also add team members to the schedule. Members can keep an eye on things, with a view of the schedule, a department, or their own schedule. They can edit their own time too.